Kisk and Sarp Yilmaz's WOMO project presents a new chapter in deep house experimentalism. More abstract and creative than any of their previous material, this is concentrated uniqueness. 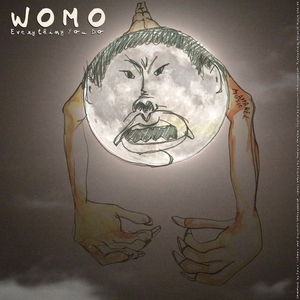 From the bluesy twangs and strange spoken words on "Way Cooder" to the strange soulful samples and eastern subtleties coded deep into the persistent hook of "Magic Plane" via the arresting, honey-toned vocals and shimmering keys on "Everything Yoo Do", WOMO paints an intricate picture that will resonate with every corner of the house and tech floors. Whatever you do, make sure you check this out.